Money is very important for the people of Aries. They should have money; even if they don’t have money then they will try to do anything to get the money only to show off. They can do anything even they can use the mortgage for show purpose only. Once again, I would say that money for them is a thing to show and for this, they will not hesitate to take money on interest too. We consider the people of Taurus as idealistic, because if money is their own then it is fine, otherwise they are not interested in others’ money. They do not give much more importance to money but it is necessary for them to save money for the fulfillment of family needs. Thus, by continuous savings, they make a lot of money. People of Gemini always make plans that the money itself should be pulled towards them. They want to earn money and that too lot of money and that too without any special effort, without extra efforts and risk. They consider the small amount of money to be futile and always think that if they have a huge amount of money, then they will start big business and will become rich. They don’t give importance to the saving and they consider it worthless to save and it is foolishness for them to depend on saving to become rich. The people of Cancer believe in buying happiness with the money. They always think that if I have money, then I should go out and roam & enjoy. If they get the opportunity to get money from somewhere, then they make a scheme to spend that money before getting it. Therefore, they will not know many times when they got money and when they have spent money. Forget the savings as they do not give importance to saving. Leo people give too much importance to wealth. They also constantly struggle to get wealth, but they think twice before spending. In fact, spending money for them is a very difficult task. Even on an importance occasion when moment of spending money comes; they take a lot of time to think. The people of Leo sign add the money with status because if money goes away from their hand everything goes away, it is their thinking. The people of Virgo don’t believe in the extravagance. They prefer to keep the money in the bank instead of keeping cash on their own so that they are able to spend only on important occasions. They take money from the bank only when there is a need to spend. They have special attachment to real estate such as plot, flat etc but they also like to buy gold and silver. The people of Libra sign spend more on pomp & grandeur but they pretend as if all this luxury has been taken on borrowed or rewarded in the prize. These people specialize in using others’ money and do not let anyone know about their money. They may have a lot of money in their possession; in fact, they have a lot of money than the imagination of others. 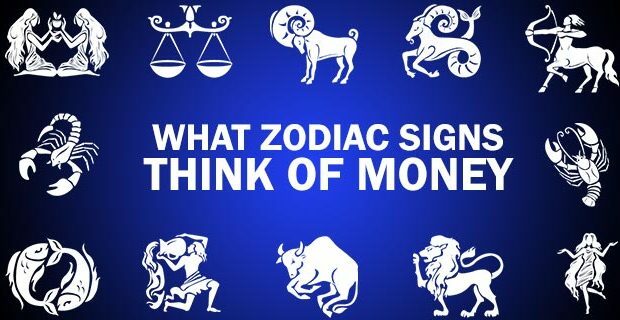 As far as, money is concerned, the people of the zodiac are known as the people of big heart. If they have money, they don’t hesitate to spend if fact, they spend a lot on their friends, colleagues and dependents. They make a lot of surprise to friends. They are known as the dude. The nature of the people of Sagittarius is majestic. Their lifestyle and thinking are like a king. Sometimes it may be possible that they don’t have money, but you will see that their heart is always big. But to whom they don’t like then they become stingy for them. As a person they are always famous. The people of Capricorn don’t have lack of money, but they always take precaution in spending money. They always wait for the appropriate time to spend money. They never spend money on pomp & show; in fact always avoid spending money on the show. Most of their expenses are very rational. People of Aquarius are very practical. When they don’t have money, they minimize their needs. They never cross their boundaries. Instead, they live in the same endeavor if they don’t have money, others do not know about their poverty. On the other hand, if they have money, they prefer to look ordinary rather than show off. People of Pisces are considered miser. But while being stingy, they are very alert too. They don’t give accounts of their income and savings to anyone. Even if they are poor, their condition is very good compared to others. Normally, the people of Pisces are never seen poor, if any individual is poor, then also he will be in the state of lending to others.